Jay Parry, president and CEO of the Arizona Super Bowl Host Committee, has had a career almost as unusual as her first name. 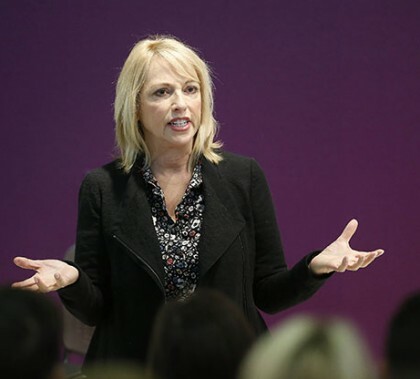 Her talk Tuesday morning to Colangelo College of Business students was filled with life lessons and common sense. Find out more about how she kept moving up the corporate ladder — and how she got her name — in this GCU Today story. Students and staff at GCU are raising awareness about sexual assault on campus. The Associated Students of GCU supported the “It’s On Us” national movement in November when it encouraged others to take a stand against violence during a weeklong campaign. Thursday, ASGCU is hosting its first Sexual Assault Awareness Event to further work to educate students about sexual assault and help make campus safer. New Year, new friends! More than 100 GCU students participated in Speed Friending Thursday evening with the ultimate reward of making new friends on campus. Inspired by speed dating and a series of icebreaker games, the event had a casual and fun atmosphere, and many students had new friends by the end of the night. This week’s Antelope Intros feature two new enrollment counselors, one from California and the other from Washington state. Both love creating experiences in the outdoors. 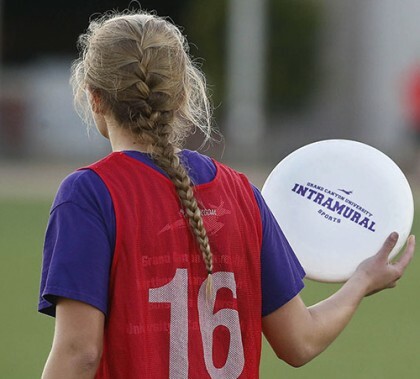 GCU has experienced a 60 percent increase this year in the number of students signing up to play a variety of intramurals sports, from basketball, flag football and soccer to Ultimate Frisbee and Spikeball. With all that interest, the University needed more fields on which teams can play, and it is delivering with the new Colter Field on the east side of campus and new spaces around Cypress and Canyon halls. 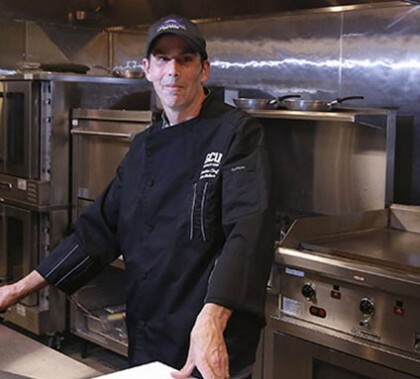 Kevin Walton, executive chef of the new Lope House restaurant at Grand Canyon University Golf Course, talks about cooking and customer service the way GCU President Brian Mueller talks about servant leadership and community outreach. The passion shows in the presentation and, of course, taste of the simplest dishes, Walton says. 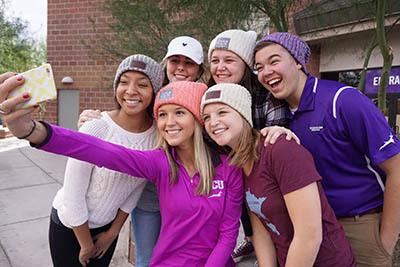 You have probably seen the cute and colorful “Love Your Melon” knit hats and beanies atop the heads of GCU students. But you may not have known that purchasing the products helps donate hats to children with cancer. Just ask the members of GCU’s Love Your Melon club, which is planning a scavenger hunt for a young cancer victim and is eagerly seeking new members. See them at the Club Fair on Jan. 20. GCU Today has the story.